Bustos was once geographically and politically part of the Municipality of Baliuag until it declared its severance and independence in April 29, 1867. Like any other municipalities, only the Mayor of Bustos has the right to choose the police officers to serve in the municipality. The Philippine Constabulary (PC), having been empowered with police authority by the virtue of Presidential Decree 1081 gained jurisdiction over Bustos, with the 175th Philippine Constabulary Company as Supervisor. 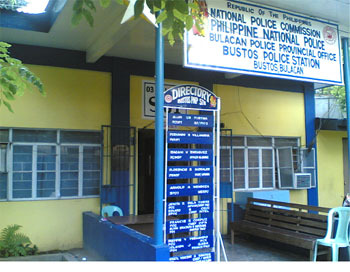 In 1975, Philippine Constabulary/Integrated National Police was created, thus, Bustos Municipal Police Station with P/LT Romeo Maganto as the Station Commander was formally established. 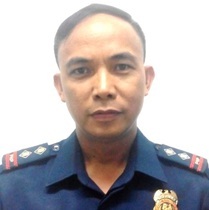 The Bulacan Provincial Commander of the Philippine Constabulary had the authority to assign the Station Commander, but the Commanding Officer of the 175th Philippine Constabulary Company, remained as the immediate Supervisor. In 1991, Philippine Constabulary/Integrated National Police was abolished and merged into Philippine National Police by virtue of Republic Act No. 6975. The said law empowered the local chief executive to choose from a list of recommendees the municipalityâ€™s Chief-of-Police. The Municipal Hall of Bustos since 1867, housed on its ground floor, the office of the Police not until on November 08, 1996 when a new and separate building was constructed under the term of Mayor Pablito F. Mendoza with PSINSP ROLANDO V LORENZO as the Chief of Police. To date, Bustos Municipal Police Station still exists with PCINSP VICTOR GATDULA as the Chief-of-Police, with thirty six (36) vigorous and dedicated law enforcers and four (4) quick-witted and passionate non-uniformed personnel under his leadership.